Stephanie Rempe (pronounced Remp) is currently in her second year as Deputy Director of Athletics at Texas A&M University. One of the most respected administrators in collegiate athletics, Rempe assists Texas A&M Director of Athletics Scott Woodward in every facet of the daily operations of the Department of Athletics. A former student-athlete with diverse and impressive administrative experience, Rempe joined Texas A&M Athletics in September of 2016. Rempe serves as the administrator for the football and men’s basketball programs as well as liaison with the 12th Man Foundation, Levy Restaurants and Information Technology. 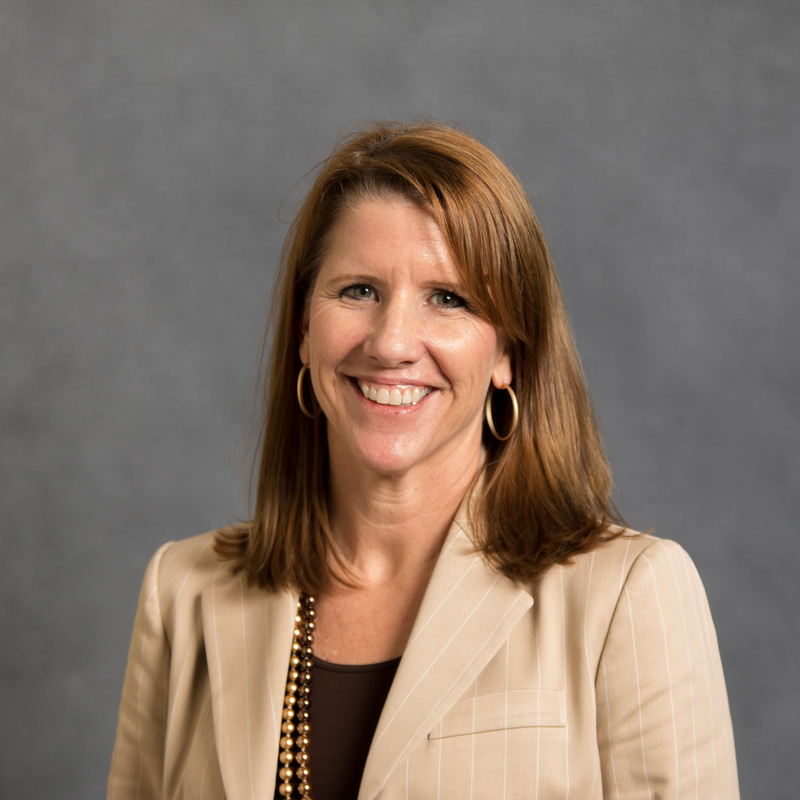 Additionally, she works with the athletics senior leadership team on strategic initiatives, supervisory responsibilities for all sports and capital projects. She has provided leadership within several different positions within the Athletics Department as well as being appointed to represent the department of athletics on various University and NCAA committees. Under her guidance, the athletic department has continued robust facilities renovations and construction of athletic facility projects. At Washington from 2008-16, Rempe influenced or led almost every aspect of the department, including direct supervision of several sports teams, management of all capital projects, and administration of numerous department units. Specifically, she served as sport supervisor for men's basketball, women's volleyball, softball, and men's golf – all of which won conference or national championships under her watch – as well as several other sports programs. Her management of capital projects was highlighted by the renovation of Husky Stadium ($285 million) into one of the top-ranked venues in the country, as well a multimillion-dollar new baseball stadium and Husky track. Among her additional areas of responsibilities throughout her time at Washington were Facilities, Event Management, Information Technology, Student-Athlete Academic Services, Strength and Conditioning, Equipment Operations, and Sports Medicine, all of which flourished under her management. Washington hosted large-scale NCAA events on an annual basis, such as the 2015 NCAA Men's Basketball First and Second Rounds and the 2013 NCAA Women's Volleyball Final Four. Rempe also led the department's Title IX and diversity initiatives. In 2015, Rempe took on the expansive role of Interim Chief Financial Officer for a nine-month period, managing the Business, Human Resources and Travel Operations offices. Prior to her time in Seattle, Rempe served as a Senior Associate Athletics Director for more than five years (2003-08) at the University of Oklahoma. Rempe worked as an Associate Athletics Director at UTEP from 1998-2003 after beginning her professional career at her alma mater, the University of Arizona, serving three years as a Senior Program Coordinator (1995-98). Over that span, Rempe served as a member of the governance structure of the Pac-12 Conference, Big XII Conference and Western Athletics Conference, as well as serving on numerous NCAA and conference committees. A student-athlete during her collegiate years at Arizona, Rempe was a four-year letter winner for the Wildcats volleyball team. She received a Bachelor's Degree in Business Administration in 1993 and a Master's Degree in Sports Administration from Arizona in 1995. In 2004, Rempe was inducted into the Santa Barbara Athletic Round Table Hall of Fame and a couple years later into the Santa Barbara High School Hall of Fame. In both 2001 and 2006, she competed in the Boston Marathon, and in 2007, placed second in the Redman Iron Distance Triathlon. Rempe is married to Greg Remien. They are parents of a daughter, Riley, and a son, Ryan.